HPSC Assistant District Attorney Admit Card 2018 is out. Haryana Public Service Commission revealed the HPSC Assistant District Attorney Admit Card 2018 for the Assistant District Attorney position written exam. Candidates who have applied for the given ADA (Group B) vacancy will be only eligible to download the HPSC ADA Hall Ticket 2018. In this post, we have presented the direct link of the HPSC Assistant District Attorney Admit Card 2018 which is connected to the official website for the comfort of the aspirants. For more details of HPSC Assistant District Attorney Admit Card 2018 go through this entire article. 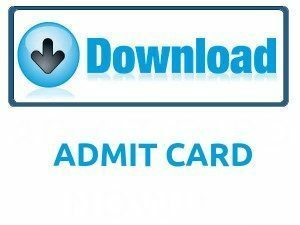 Admit Card direct download link is available at the below of this article. The HPSC Assistant District Attorney (Group B) Admit Card 2018 is uploaded on the official site. The authorities of Haryana Public Service Commission decided to conduct the written exam on 19th August 2018. For this purpose, they disclosed the HPSC Assistant District Attorney Admit Card 2018 at the official website. We suggest applicants download the admit card or hall ticket prior one week to the exam. Contenders must use the application number and date of birth to download the hall ticket. Without using the information, it is not possible to get the HPSC Assistant District Attorney Hall Ticket 2018. Keep visiting our website sarkarirecruitment.com for latest updates. The Haryana Public Service Commission has discharged the employment notification for the Assistant District Attorney post. For the given Assistant District Attorney position the application process has started on 8th June 2018, and the application process will end on 6th July 2018. As per the information from the officials will be conducted on 19th August 2018. The most of the organizations will announce the admit card ten days before the examination date. In the same way, the HPSC also released the HPSC Group B Admit Card 2018 at the same time. The aspirants must need to download the hall ticket at least one week prior to the exam. After completing the download process of the HPSC Assistant District Attorney Admit Card 2018 verify the details in it. If there are any mistakes are found in the admit card or hall ticket then immediately inform the organization and rectify the errors. If candidates have neglected the errors in the hall ticket, they will suffer in the examination hall. The other information related to the HPSC Assistant District Attorney (Group B) position exam like details in admit card, the importance of the admit card, required documents for the exam, and steps to download the hall ticket has mentioned below. Admit Card is the crucial document for every examination process. It carries the information about the contender and exam. No aspirant will not enter to write the exam without the admit card or hall ticket. And essential exam instructions etc. Applicants have to carry an identity from below documents with the admit card to the security purpose at the examination center. In every examination process, the admit card or hall ticket plays a vital role. Without carrying the admit card, the organization will not permit the candidates to write the exam. It consists of the information of the applicant and exam details like name, registration number, date and time of the exam, the address of the exam, etc. By using the data which is mentioned in the HPSC Assistant District Attorney Admit Card 2018 the examination board can sort out the false aspirants in the examination hall. The contenders have to carry an identity including with the admit card at the examination center. The candidates who will attend the exam after the time of the exam will not allow into the examination center. Every participant must need to reach the examination theater before twenty minutes to the exam to avoid the last minute rushes. Read the instructions behind the hall ticket while starting the exam. The below process to download the hall ticket or admit card from the organization website without any conflicts. Firstly, open the organization website of the Haryana Public Service Commission, hpsc.gov.in. Look for the admit card tab on the official site. Search for the HPSC Assistant District Attorney Admit Card 2018 link. Fill the details like application number and date of birth. Take a xerox of the admit card. Submit HPSC Assistant District Attorney Admit Card 2018 at the examination hall with an identity. Through this page, we have specified the information about the HPSC Assistant District Attorney Admit Card 2018. This article will be helpful for the aspirants who are applying for the Assistant District Attorney (Group B) post in Haryana Public Service Commission. If applicants have any questions on this page can also leave a comment on below comment box for more clarifications. Check our site Sarkari Naukri for latest updates on Recruitment, syllabus, previous papers, admit card, result, etc.